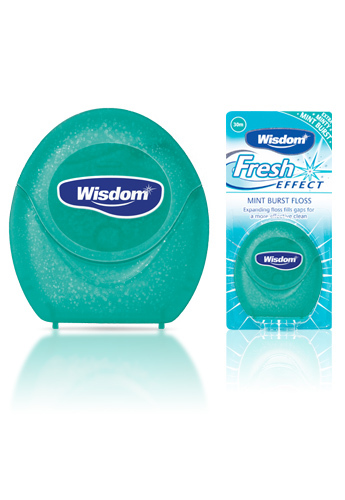 Wisdom Fresh Effect Floss expands to a soft fluffy thread during use that fills the gaps between the teeth for an exceptional clean. Delivers bursts of mint flavour to give your mouth a real clean and fresh feeling. Use morning and night before brushing to help keep your teeth and gums healthy, protect against gum disease and tooth decay and keep your breath fresh.